This will be a week devoted to words that shape our lives and begin with the letter ‘P’. Not only is it the first letter of my last name, but as you will see when the week progresses there are a lot of words that fall into this category. First word up, ‘Pain’. It may seem odd for a blog on living an amazing life to feature pain as its first word of the week, but that is only because we often think of pain as a negative. What do I mean pain as a negative? Who doesn’t think of pain as a negative right? 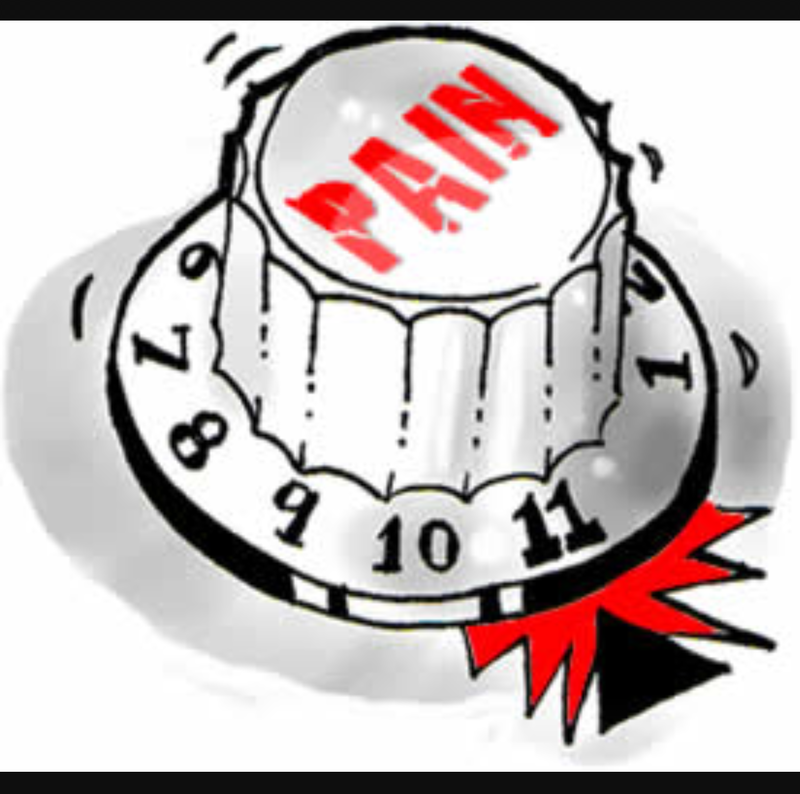 If you ask anyone “would you like some pain?” chances are the answer will be a resounding no. Here is the bad news, pain will always be a part of our lives. Here is the good news, that doesn’t have to be the bad news. Pain can be our servant and not our master. We can learn to use pain and not let it use us. So How can pain be a good thing in our lives? First of all let us understand one thing, in many ways it already has been. As a child if you touch a hot stove your body gives you pain. In most cases we remember that and never touch a hot stove again. Thus, we save ourselves bodily harm that could cause us severe damage. Let us look at emotional pain. Someone does something and our heart gives us a dose of pain. Often this can be worse than touching the hot stove. So how on earth is this good? It can be if we understand it is showing us something about both ourselves and the other person. Maybe we did not communicate to the other person our standards and what hurts our feelings? Maybe we need to be a little more cautious with how much we open ourselves to this person. In some cases the pain may even mean we need to limit and maybe even remove this person from our lives. One final way we can use pain to serve us is in the accomplishment of goals. In life we do things for two reasons. One of which is to reduce and eliminate pain. The other we will discuss tomorrow. So how can we use this to improve our lives? Let us say our goal is to live a healthier life. Try taking yourself for a run and see how far you can get. Find a full length mirror and get undressed in front of it. These things may seem very unmotivating, but when we understand that personal dissatisfaction can be a tremendous driving force we can understand giving ourselves small doses of pain can push us in ways we may very well need. How many times have you heard someone say “I’m sick of feeling/looking this way!”? If their pain is great enough they will change it. Same with motivating us to help others. I am a firm believer in helping the abused be it adults, children or animals. When I see the commercials with the starving children or abused animals I want to reach right out and help. I want to eliminate their suffering. The one caution is we must not let ourselves be consumed by pain. As powerful as pain is, it is only one side of the equation. Next post we will look at the other half of this powerful life-changing tandem. So please read both and understand life is a balance. As always feel free to share this post with anyone and everyone you think it may help. Previous Post TIME TO CELEBRATE!